It has been three years since the CSR has become mandatory in India and the data shows that 5097 companies spent INR 9822 Cr on CSR projects in FY 2015-16 while 7334 companies spent INR 8803 Cr. in FY 2014-15. 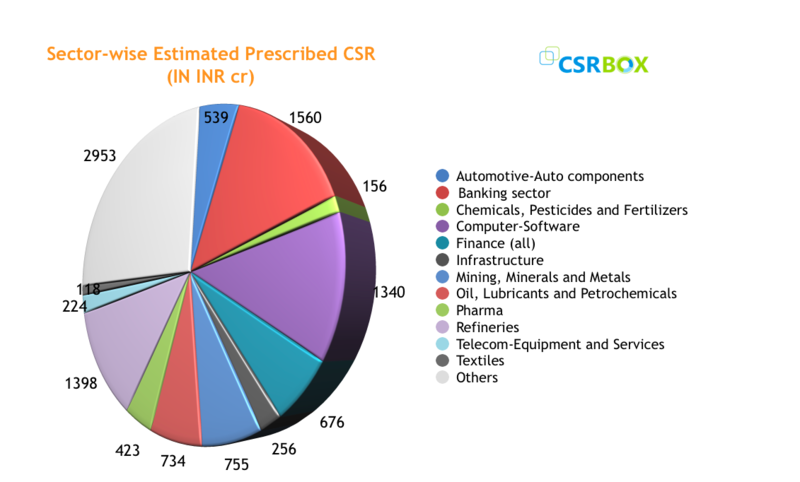 A few companies could not spend the prescribed CSR in both these financial years and the unspent CSR fund ranges between 9-12% and 20-24% of the prescribed CSR in FY 2016 and FY2015 respectively. At NGOBOX, we have been analyzing various trends in CSR among listed companies and private unlisted companies. It is worth noting that companies have become more serious about their CSR spend and the level of compliance is going up year after year. However, the real appreciation comes with the fact that companies are putting in efforts to make impacts through CSR projects, in line with the real spirit of the mandatory CSR. As per the Section 135 of the Companies Act 2013, we tried to look at overall CSR landscape for the financial year 2017-18 by estimating the prescribed CSR of 500 large companies. We identified 500 large listed companies (either BSE or NSE or both) with INR 1Cr+ estimated prescribed CSR and tried to analyse the data. Overall Prescribed CSR for all listed and unlisted companies will be in the range of INR 12000-13000 Cr. Reliance Industries Ltd, TCS Ltd, ONGC Ltd, HDFC Bank Ltd and Infosys Ltd will be among the top companies with prescribed CSR requirements for FY 2018.